The subject of murder has always held a particular fascination for us. But, since at least the nineteenth century, we have seen the murderer as different from the ordinary citizen—a special individual, like an artist or a genius, who exists apart from the moral majority, a sovereign self who obeys only the destructive urge, sometimes even commanding cult followings. In contemporary culture, we continue to believe that there is something different and exceptional about killers, but is the murderer such a distinctive type? Are they degenerate beasts or supermen as they have been depicted on the page and the screen? Or are murderers something else entirely? In The Subject of Murder, Lisa Downing explores the ways in which the figure of the murderer has been made to signify a specific kind of social subject in Western modernity. Drawing on the work of Foucault in her studies of the lives and crimes of killers in Europe and the United States, Downing interrogates the meanings of media and texts produced about and by murderers. Upending the usual treatment of murderers as isolated figures or exceptional individuals, Downing argues that they are ordinary people, reflections of our society at the intersections of gender, agency, desire, and violence. By Way of Brief Conclusion . . .
"Lisa Downing’s latest book is an original and daring attempt to prod us to rethink our conventional, inherited, and normative conceptions of the figure of the murderer. Downing convincingly and disturbingly argues that murderers are not really ’others,’ but that the subjectivities of murderers should be located on a continuum with us. 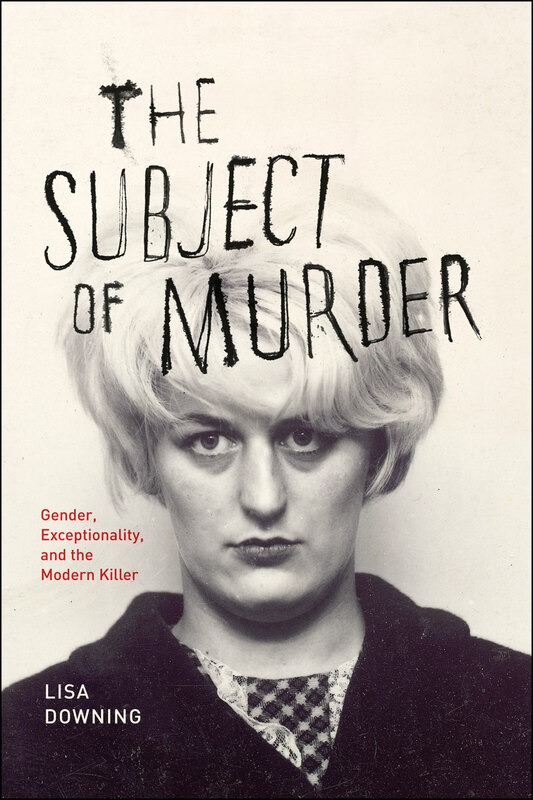 The Subject of Murder is a profoundly relevant feminist/queer contribution to our understanding of our present historical moment." "The Subject of Murder is the kind of book that you didn’t know you needed until you read it, and then you cannot understand how you ever thought about its subject without it! Murderers, as Downing points out, are cast as singular, exceptional, and remarkable in Euro-American cultural life. However, using a Foucauldian framework to fold murder and violence intot the set of discursive frames that produce modern human identity, Downing shows us how to see the murderer as a product of modernity rather than as the subject it wishes to suppres. A remarkable book." "Lisa Downing’s case studies demonstrate a remarkable intellectual dexterity in moving between the abstract ideas that shape the subjects she discusses and the materiality of the lives of those thus shaped. The Subject of Murder is at once an intellecutal tour de force, and, like its subjects, is absolutely fascinating."